With Beal’s main specialty in rope manufacturing, when they set out to create a new line of carabiners, they put a lot of thought into the carabiner/rope interaction. Their goal was to minimize rope friction and allow the rope to run more freely, ensuring longevity of the beloved rope. We caught up with Ben Eaton from Liberty Mountain (Beal’s US distributer) who gave us some insight into Beal’s new line of hardware. Beal’s new quickdraw, the Be Free draw, has a small keylock carabiner on top (Be Top) and larger curved gate carabiner on the bottom (Be One). The bottom carabiner is more rope friendly as it has a larger, thicker spine. This prevents rope kinking as well as reducing lateral rope friction (see image below). The Be Free draw also has a wide dyneema dogbone which means this draw will be strong and stiff, not floppy. The new Beal lockers also come in a variety of distinct shapes and sizes. A more specialized locking carabiner, Beal has the Be Safe, an HMS (large) biner that has a wider, flatter frame to accommodate more rope. This reduces friction between the rope and carabiner during rappel, or when belaying a leader on twin / double ropes. Rope bunching in the corner of the basket is also reduced. Their other locker, Be One Screw, is very compact and much more rounded (it’s the Be One carabiner frame with a locking gate). It would be best for sport climbing or top-roping when dealing with only one rope. It’s design is intended to limit friction so it should be great for belaying your partner on their newest project. We could also see using the Be One Screw for setting up Top Rope anchors. If you can’t wait for these carabiners, check out WeighMyRack’s Carabiner Page, to see over 500 carabiners currently on the market and compare their specs. 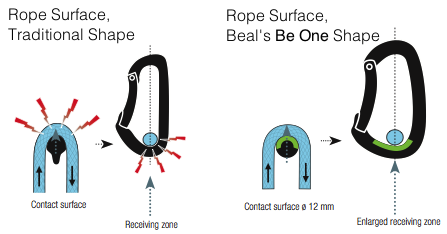 Beal is coming out with a lot of exciting gear for 2014 including the lightest half rope on the market and a new line of harnesses for US distribution. 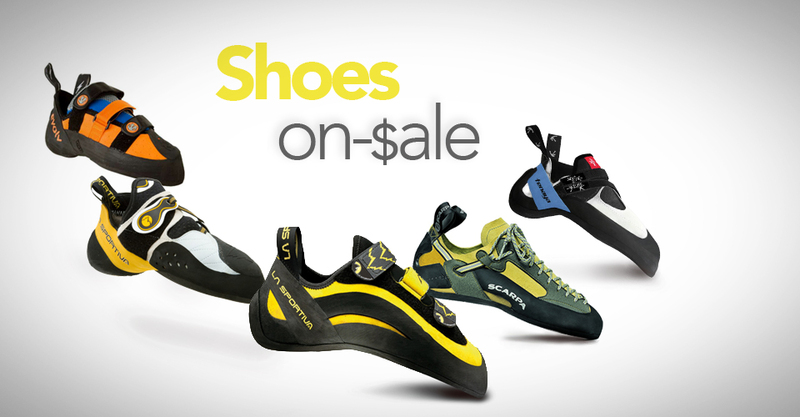 Beal products are available at your nearest Beal dealer and on Liberty Mountain Climbing. 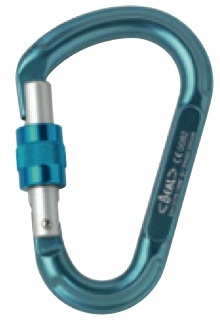 You’ll find these carabiners and draw on there in 2014! Nice Blogs Great review, well written. Actually When I first heard the name, it sounded like a robot super hero. Seriously it’s revolutionary because the locking gate relies on magnetic force. Friends i’m unable to open this carabiners and try lot of time to open but one of my friend Sumit told me that you just simultaneously depress two magnetic arms at the end of the gate. Pull the gate towards the major axis and opposing magnetic force holds the arms open. When i release the gate, it instantly auto-locks as the magnetic arms snap into place over a steel insert in the key lock carabiner nose. And Finally i learned how it works. Hey Urthon, thanks for the compliments. I think you might be talking about the Black Diamond Magnetron GridLock carabiner, and not any Beal carabiners, but the world of carabiners is rather confusing so we totally understand the misstep.